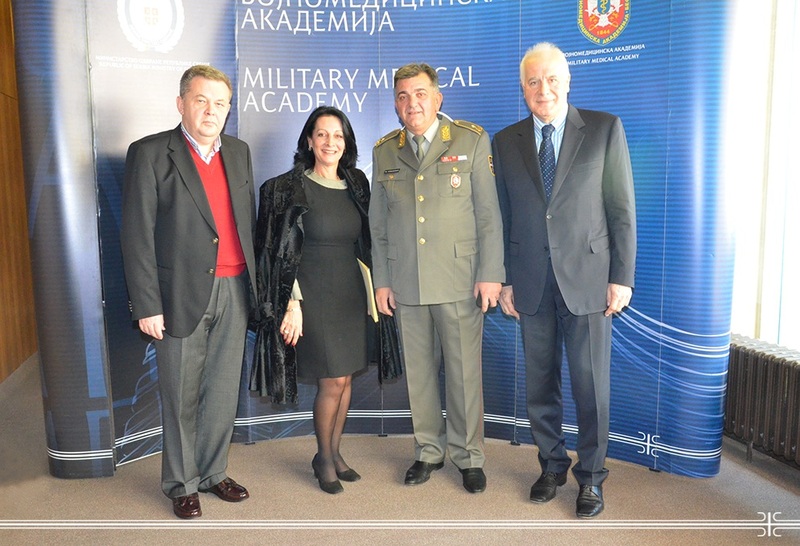 Military Medical Academy was the venue of XVI Annual Meeting of Anesthesiology, Critical Care and Pain Therapy of the Serbian Medical Society, organized by the MMA Clinic for Anesthesiology and Critical Care. Delivered lectures covered the topics as Ultrasound of Critically Ill Patients, Visual Medical Techniques within the Critical Care Unit, Anesthesia and Emergencies, gathering on that occasion a numerous participants from our country as well as from Italy, Slovenia and France. The attendees also had the possibility to closely view the surgery performances and establish direct communication with the surgeons from the MMA Operating Block. The MMA Head Brigadier General Prof. Dr. Marijan Novakovic wished a warm welcome to all guests emphasizing that the international character of event assures the continuity in world trends and professional development. The Serbian Medical Society’s Section for Anesthesiology, Critical Care and Pain Therapy marked 55 years of existence while its President Prof. Dr. Nevena Kalezic delivered the letters of thanks and diplomas for remarkable contribution and effort during 2013. The MMA Clinic for Anesthesiology and Critical Care and its Head Prof. Dr. Zoran Slavkovic were awarded. A special recognition collected from the fond "Prim. Dr. Jovan Bogunovic" intended for young specialists-anesthesiologists scientific contribution in 2013 received Dr. Ana Mandras from the Institute for Mother and Child Health Protection "Dr. Vukan Cupic".